The Center for International Legal Cooperation (CILC) promotes the rule of law by initiating and implementing international legal cooperation projects. We bring together legal experts from different countries to work out solutions for a variety of challenges within developing legal systems. We are based in The Hague and our current work spans dozens of countries in development and in transition in Africa, Asia, Central and Eastern Europe and the Middle East. CILC was founded in 1985 at the initiative of the Dutch Government to implement a multi-annual program for judicial cooperation with Indonesia. Following the breakdown of the communist regimes, given the immediate need for expertise in building up rule of law, CILC started to also support the legal reforms in the former Soviet Union and Eastern Europe. 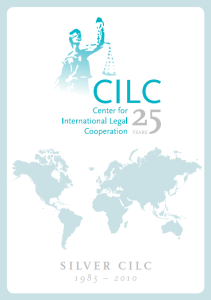 Since then, CILC has developed into a project organisation operating worldwide in international legal cooperation and rule of law capacity building. Living in an open, internationally-oriented society, the Dutch are relatively well acquainted with other legal systems and international comparative law. The Netherlands plays a modest role in the international arena (compared against countries like France, Italy and Germany), which allows it to take a balanced, open-minded position, without the intention of imposing its ideas on others. The Netherlands possesses high quality legal assets, such as updated administrative and civil legislation, experience in capacity building, court management, international law, mediation and law enforcement. The relevance of the Dutch justice model is underpinned by the high ranking of the Netherlands in international rule of law indexes (such as The World Justice Project or Transparency International). 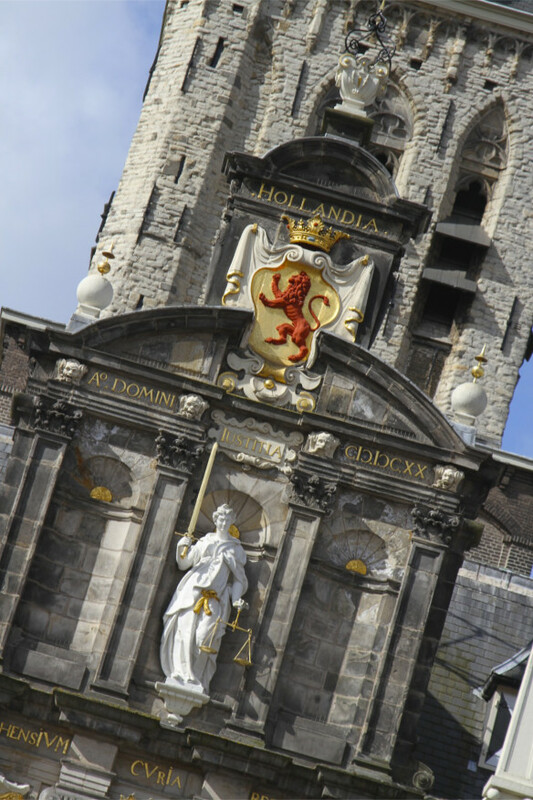 CILC is well located and networked to provide introduction and guidance to the organisational landscape of The Hague. Since the International Peace Conference in 1899 the city has been renowned as the global centre of justice and conflict resolution. Today, the city of The Hague is home to many international organisations that strive to make the world a safer and more peaceful place, such as the International Court of Justice, the International Criminal Court, the Permanent Court of Arbitration, the Hague Conference on Private International Law and the Organisation for the Prohibition of Chemical Weapons. Former Secretary-General of the UN, Boutros Boutros-Ghali, was the first to call The Hague ‘the legal capital of the world’. The legal and humanitarian organisations that are based in The Hague underpin the city’s claim of being the international city of peace and justice. In addition, The Hague is home to the headquarters of important EU institutions, such as Eurojust and Europol. CILC is a non-profit organisation that combines the management performance and flexibility of the private sector with full commitment to positive development outcomes. We are credible when bidding for legal reform projects around the world, also because we do not focus on maximising profits from project budgets that we manage and are therefore more adaptable to a wider range of partnership opportunities. We take pride in helping project beneficiaries and stakeholders to really own change, because enduring results are at the core of CILC initiatives, and not the temporal or financial boundaries of projects. We believe that creating successful international legal cooperation projects requires experience, understanding of local needs and commitment to quality standards. Our project ideas and proposals have these factors built in. We start each new project design with thorough research of the current situations, paying attention to risks and sustainability factors. It is a process in which beneficiaries are consulted and closely involved, a process which helps us define realistic, but impactful outcomes. Further, when it comes to bringing together the right people, we take pride in being able to involve in our proposals recognised experts in the field. We have access to a wide network of legal professionals with extensive expertise in the various and complex aspects of rule of law and CILC brings in its own expertise: project management. Last but not least, we believe in teaming up. In our project proposals we identify ways to work with like-minded organisations with which we develop a common approach for each project. Our sister organisations in Germany (IRZ) and France (JCI) are good examples of such like-minded organisations. CILC is involved in managing and implementing a wide range of projects, such as training smaller groups of professionals (for example in legislative drafting), supporting introduction of justice reform strategies, or facilitating regional cooperation for law enforcement. We bring together experienced professionals to share good practices, to listen to and learn from each other. No matter the size of a project, we apply the same principles and standards of aid effectiveness and we focus on generating sustainable development by building capacity in others. At CILC we guide our work by the code of conduct of Dutch development organisations. On specific requests from donors or public institutions in our target countries, we conduct gaps and needs analysis. Such studies are needed in order to help donors to determine their interventions and help them in their programming of assistance. Our colleagues are often requested to moderate policy dialogues and to facilitate regional networks. This happens outside the direct scope of our projects, but we consider it our responsibility to share our knowledge and insight where it can be of value. Due to our privileged home base in the Hague, the international city of peace and justice, we can offer advisory services to non-Dutch legal organisations or public institutions who want to get access to the international legal community based here. CILC is open, thinking along and connected to relevant partners and their expertise.